Luxury and comfort meet in the Dylan chair. Curves and strong geometric lines are reminiscent of simplified Art Deco design. 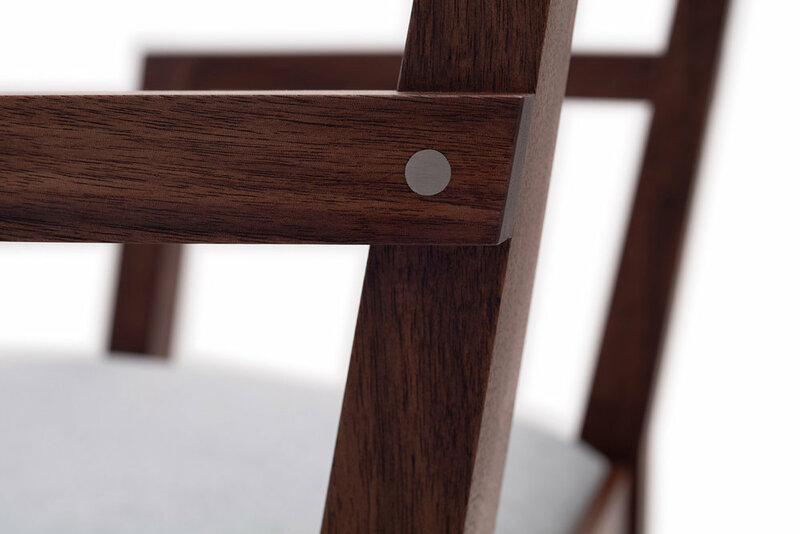 Shown in walnut with stainless steel accents, and an ice blue mohair velvet seat. Other finishes available.